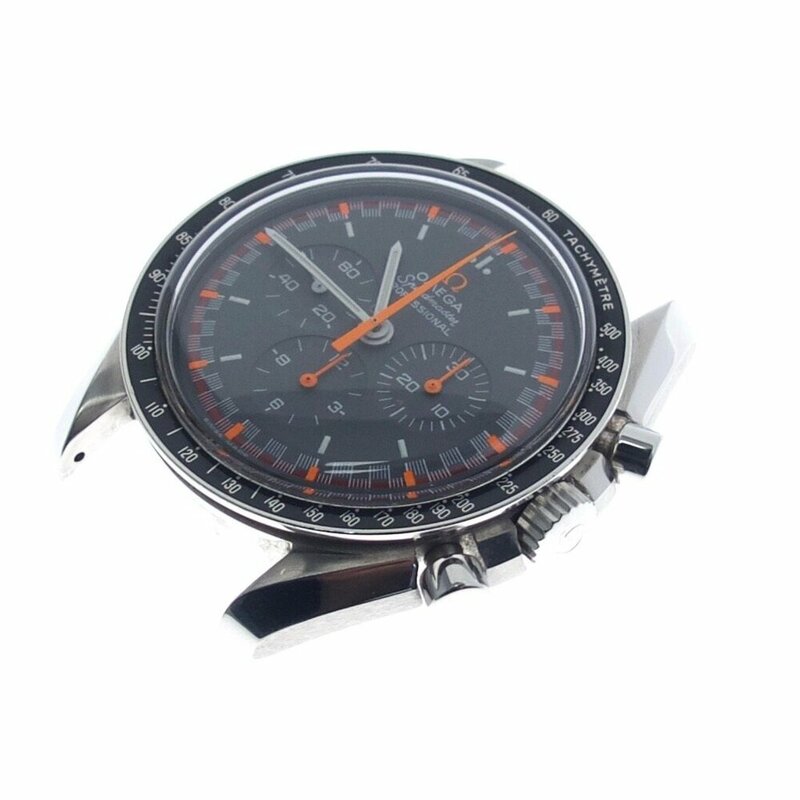 The Speedmaster is an example of an iconic design from one of the most well known of the established watch brands. Year manufactured 2004 (Limited Edition of 2004 pieces). Stainless steel case. 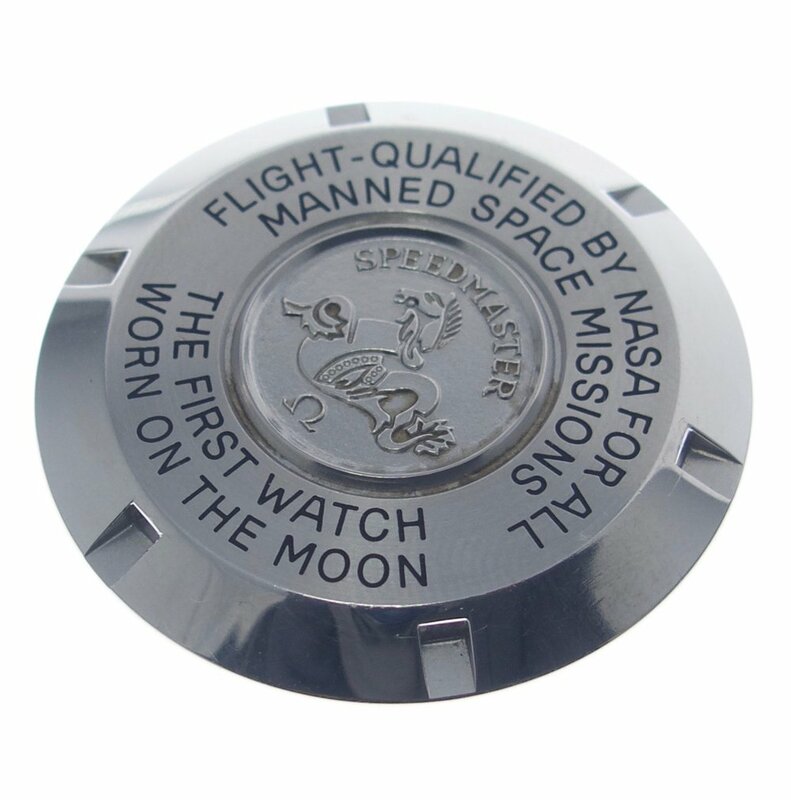 Dimensions: 42mm diameter; 13mm thick. Perspex glass. Luminova on hands and indexes. Caliber: Manual wound chronograph caliber 1861. Original Omega bracelet. Lug width: 20mm. 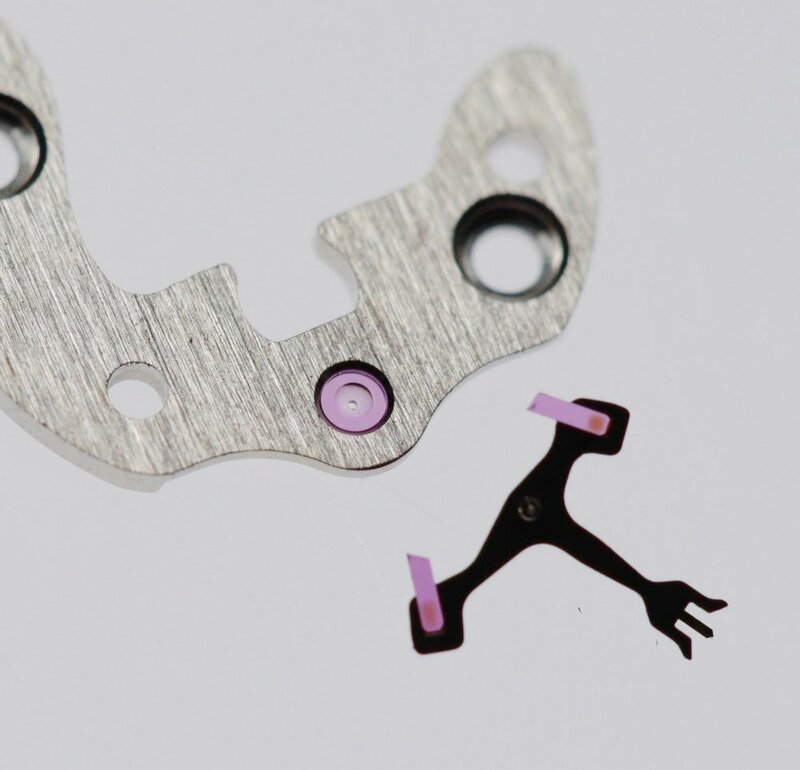 The case back is secured using a key with 6 fingers to screw onto the case centre. Made exclusively for the Japanese market in 2004. 2004 pieces were made and delivered, but not individually numbered. They differ from the regular 3570.50 reference in that they have the special grey matte dial with red/orange accents as well as orange hands for the chrono function. This watch is inspired from a very rare grey Racing dial model delivered from 1969-1971 as well as the Speedmaster Mark II. Screwed on case back with machine engraved then blackened text. 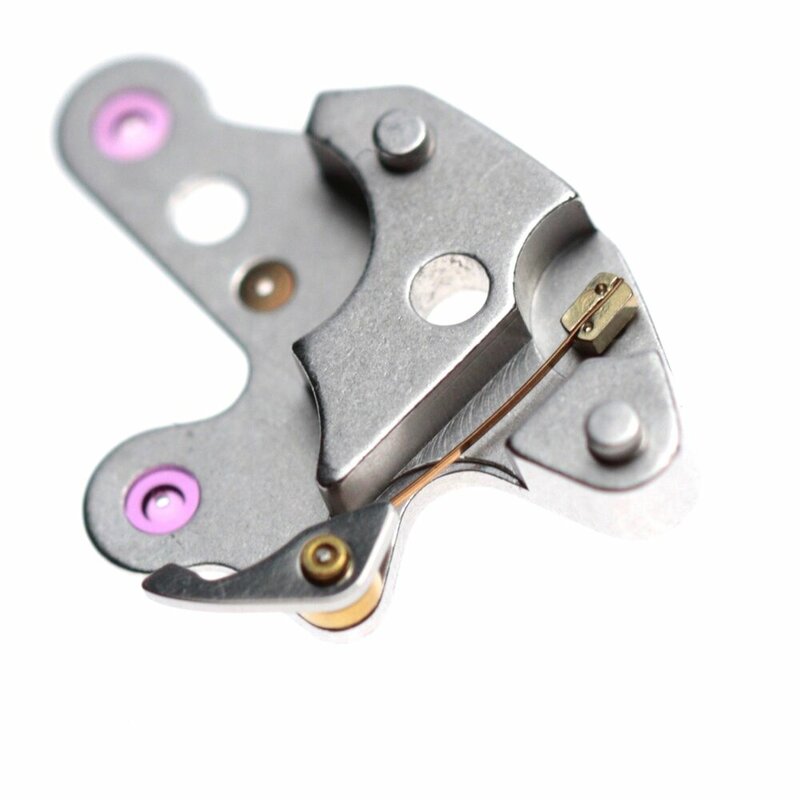 Centre of the anti-magnetic cap which hold the mvt in place. The raised button pushes directly on the inner case back. With the case back removed you can see the black rubber seal sitting in the case which is sandwiched between the case centre and case back, rendering this union resistant. The Speedmaster's history goes back to 1957 when it was introduced as a sports and racing chronograph, complementing Omega's position as the official timekeeper for the Olympic Games. 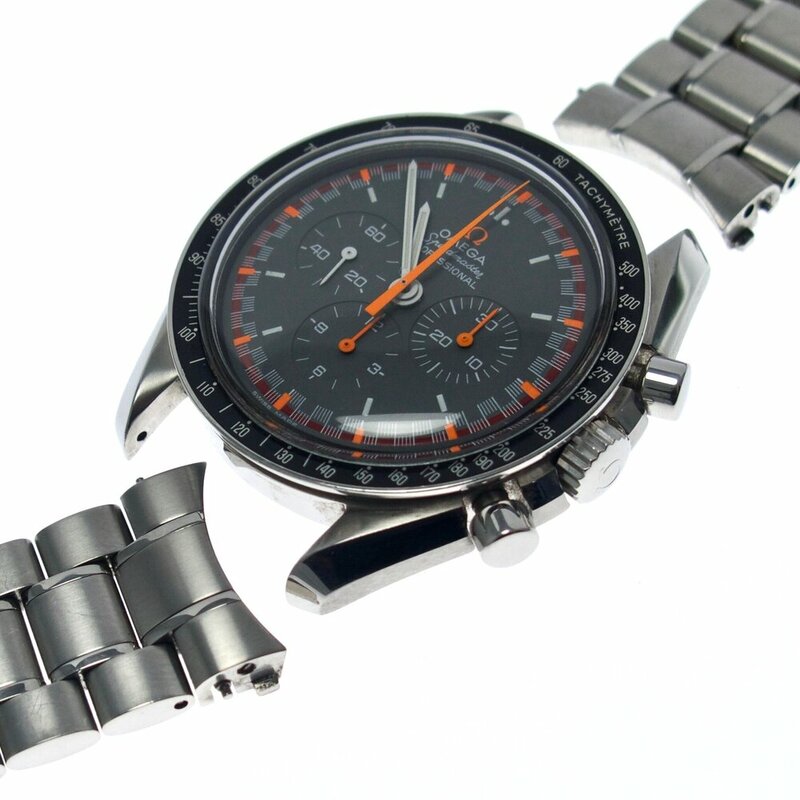 The "Speedmaster" name was chosen for its tachymeter scale bezel and following the Omega convention used for other models like the Seamaster - initially the Speedmaster was part of the Seamaster line - and the Railmaster. 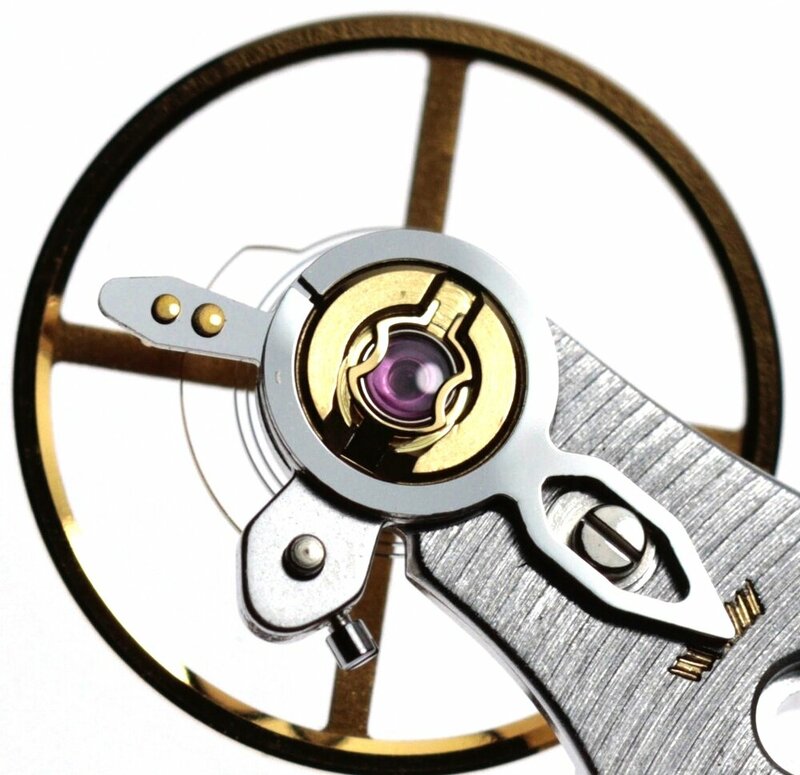 A tachymeter scale around the rim of the watchwatch can be used to compute a speed based on travel time or measure distance based on speed. 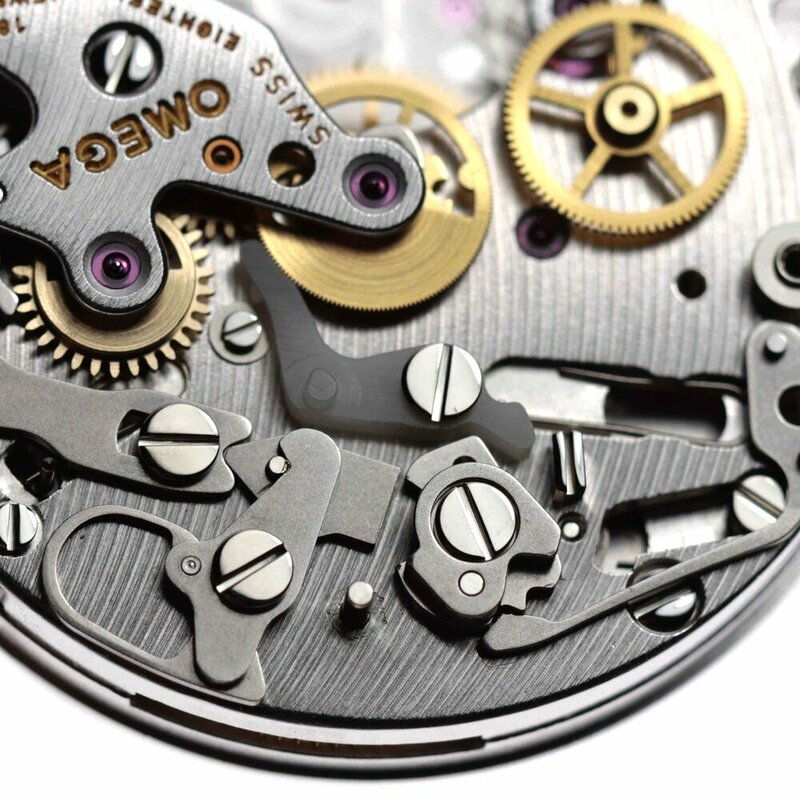 The spacings between the marks on the tachymeter dial are therefore proportional to 1/t where t is the elapsed time. The dial washer holding the hour wheel securely in place. 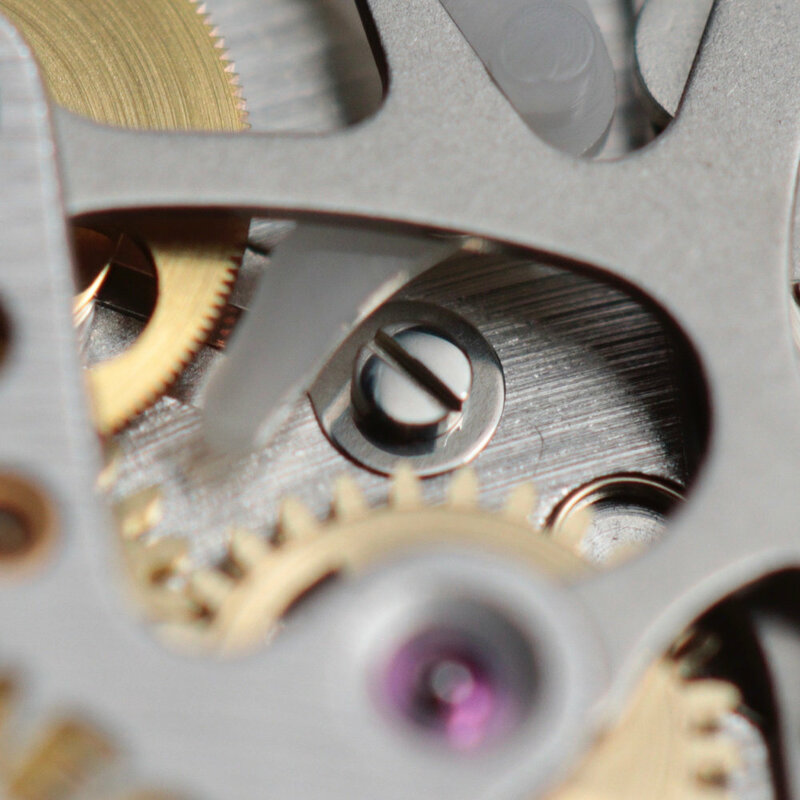 Below, the first wheel on the left is the driving wheel (or upper fourth wheel) of the chronograph, in the centre is the chronograph seconds wheel which is driven by the coupling clutch (here not shown). 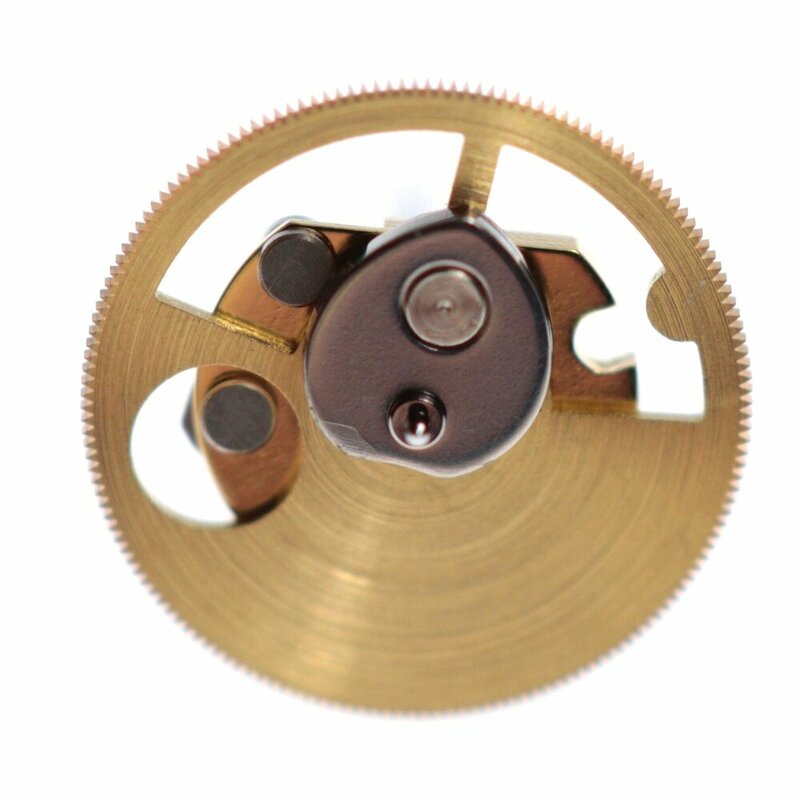 To the right is the intermediate wheel which is indexed every minute turning the minute recorder wheel on the far right. 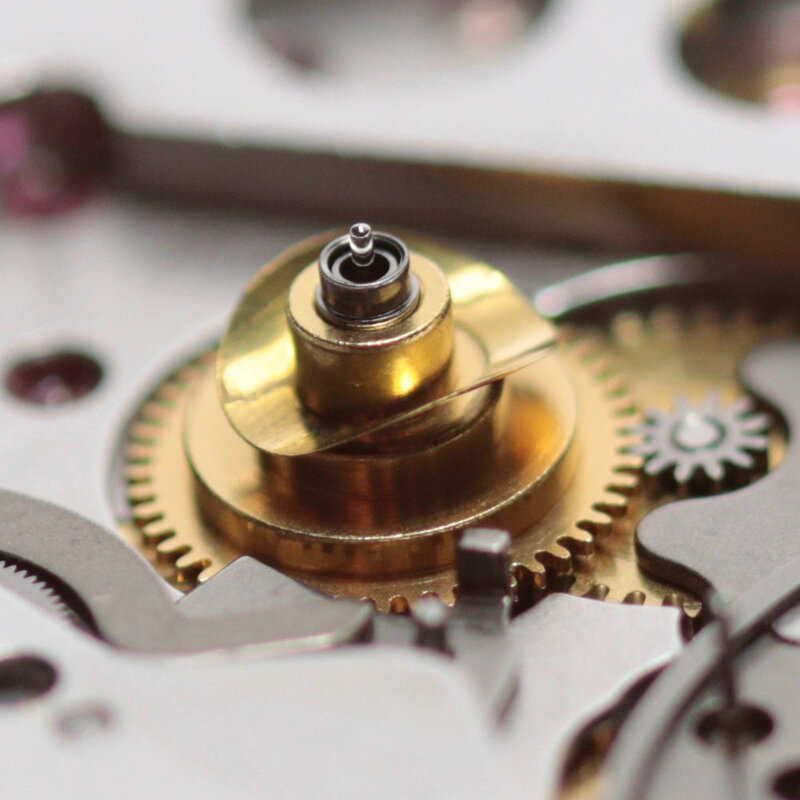 The central lever touching the chronograph seconds wheel is a type of plastic which acts a break when the chronograph has been manual stopped. 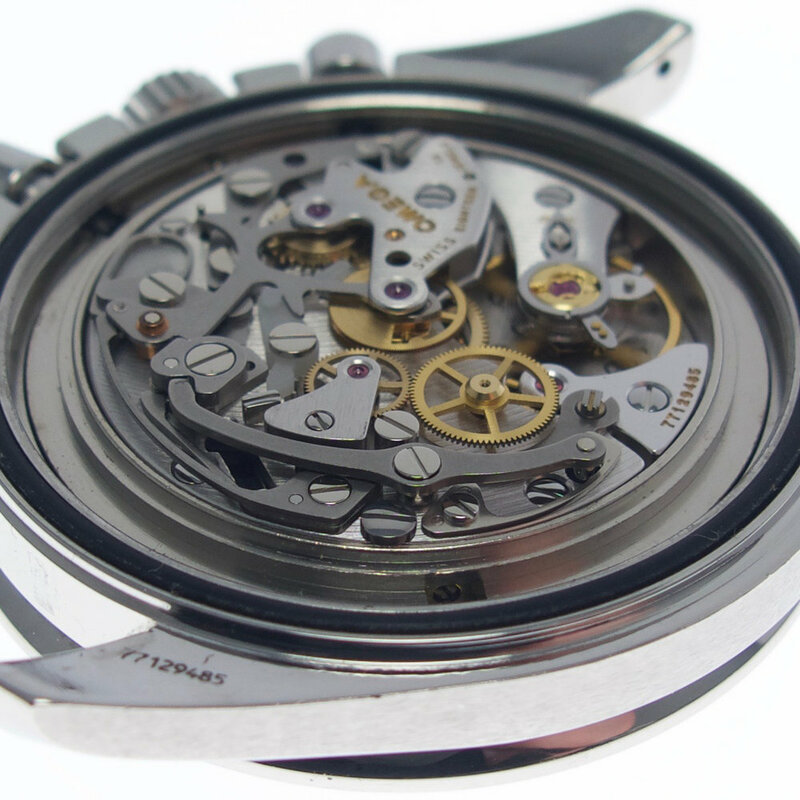 The remaining wheel in place on the chronograph is the upper fourth wheel which drives the chronograph. 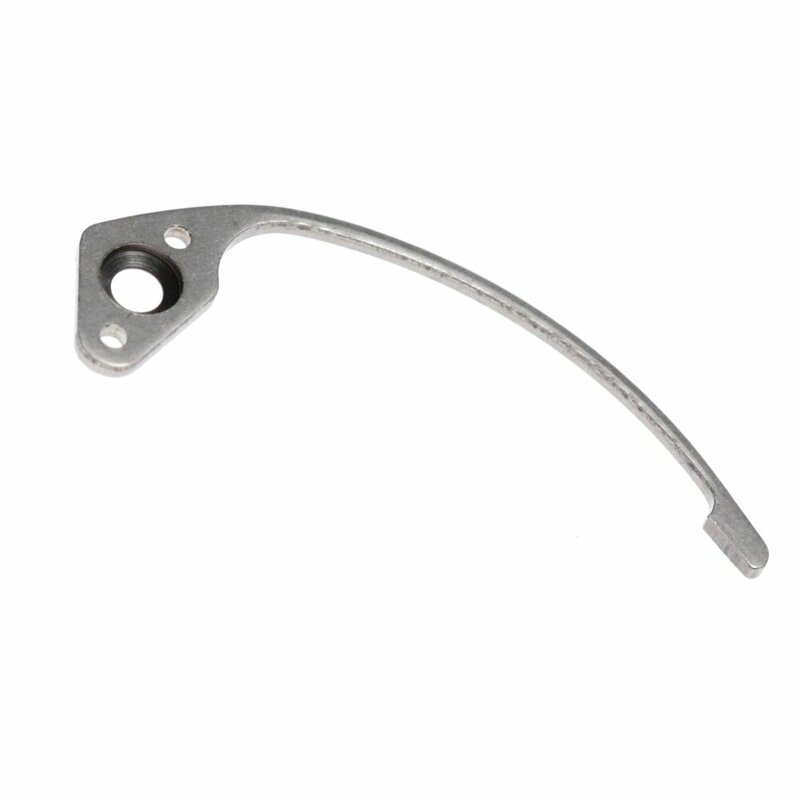 The lever in the centre of the image holds down the piece underneath it which in-turn pushes against the cam system. 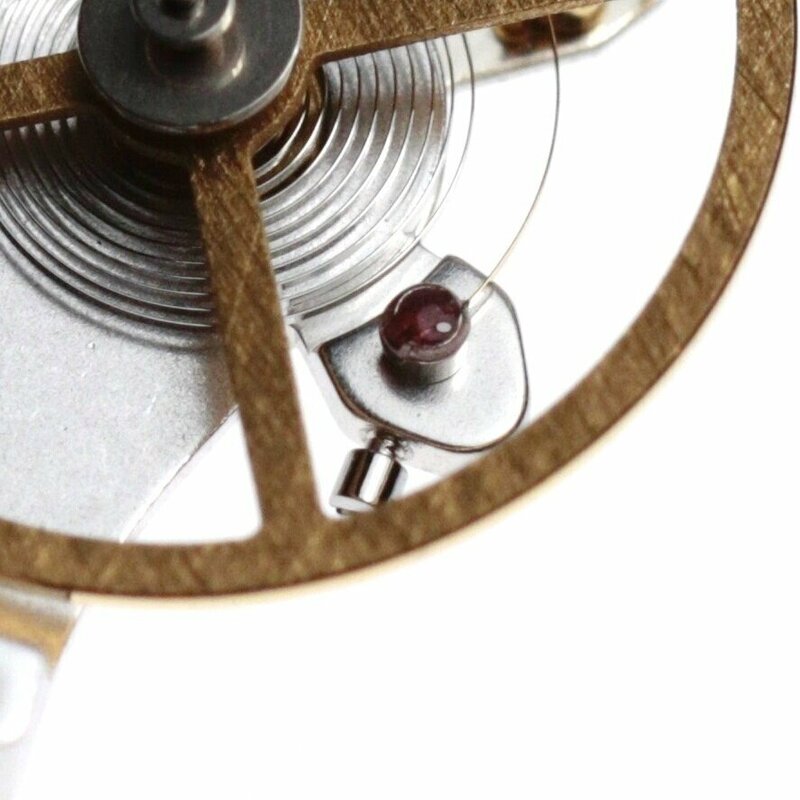 The central lever pushes this pieces to the left to reset each time the pusher on the outside of the case is manually activated.